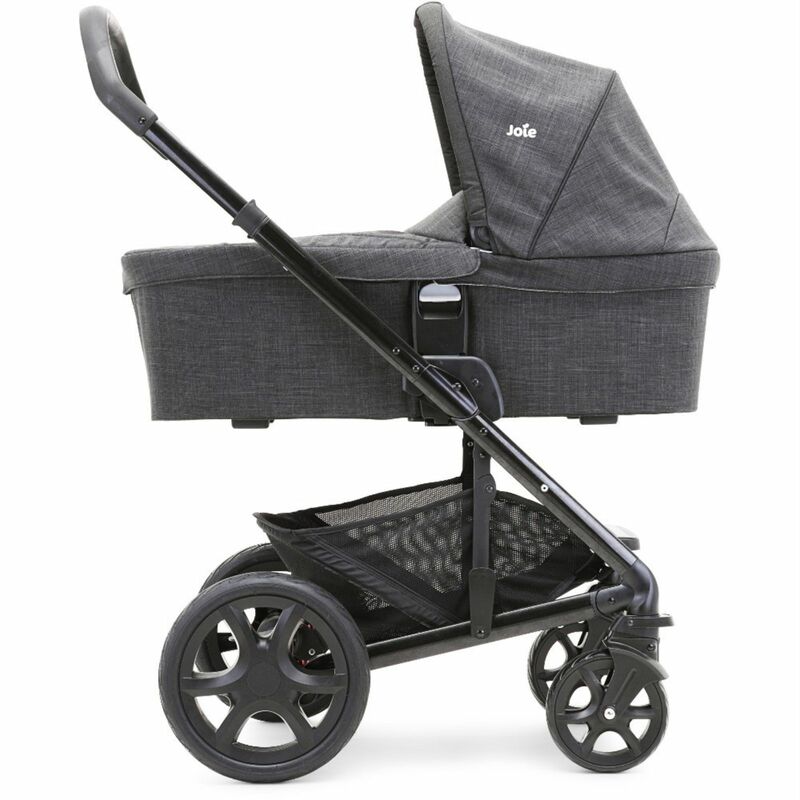 As the deluxe multi-tasker of the Chrome family, the Chrome DLX from Joie offers complete versatility with its reversible seat unit, meaning that it can be made to face forwards or rearwards depending on your preference. Suitable from birth, the Chrome DLX offers a full lie-flat position and an adjustable leg rest which creates a cocooned seating area that is simply perfect for sleepy infants and newborns. 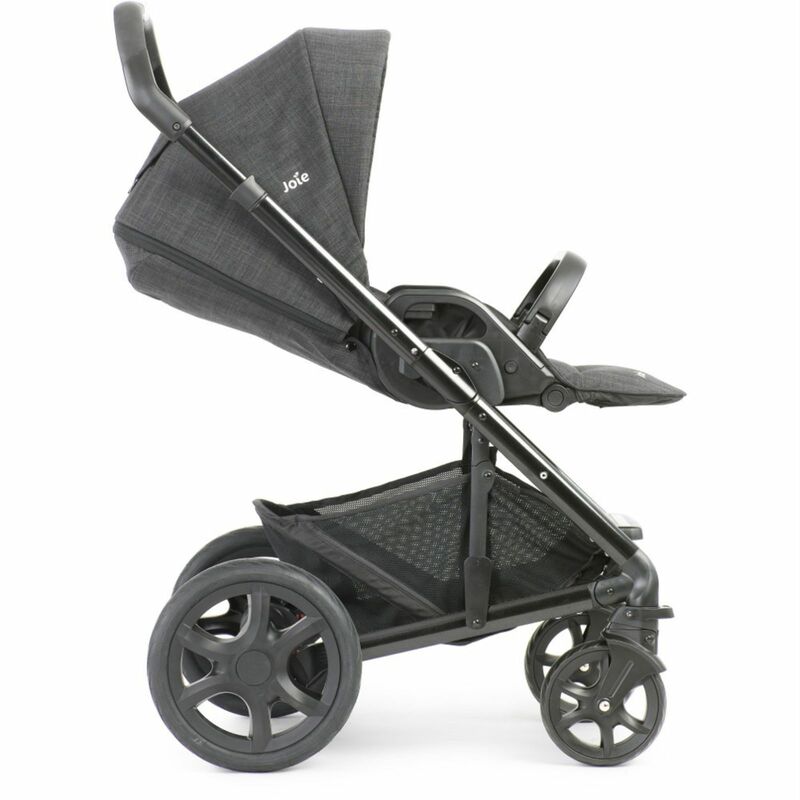 The stroller can be folded quickly and easily (with the seat facing in either direction) and reduces down to a compact and easily manageable size. 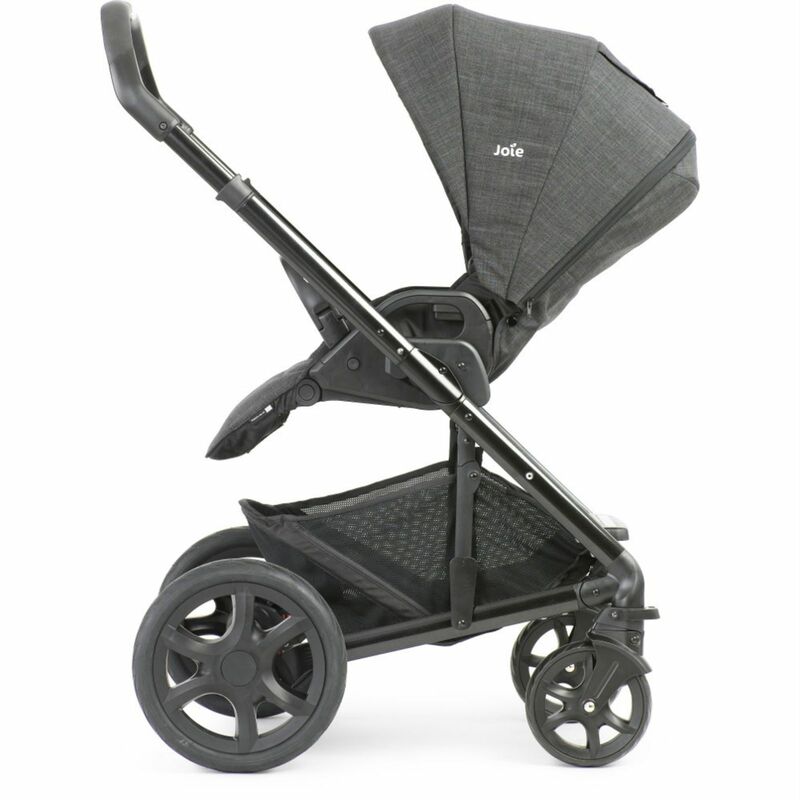 The automatic fold lock keeps it safely together and once folded, it can be transported in handy ‘trolley mode’. 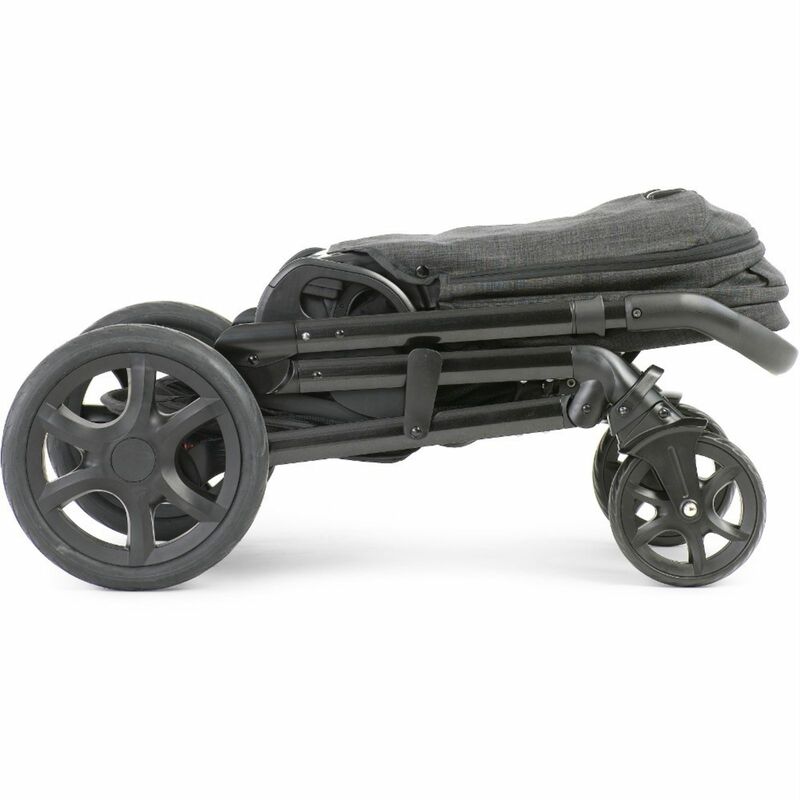 Tested beyond the standard weight capacity, the Chrome DLX is great for older and slightly larger children and comes with large all-terrain tyres which is perfect for uneven ground. 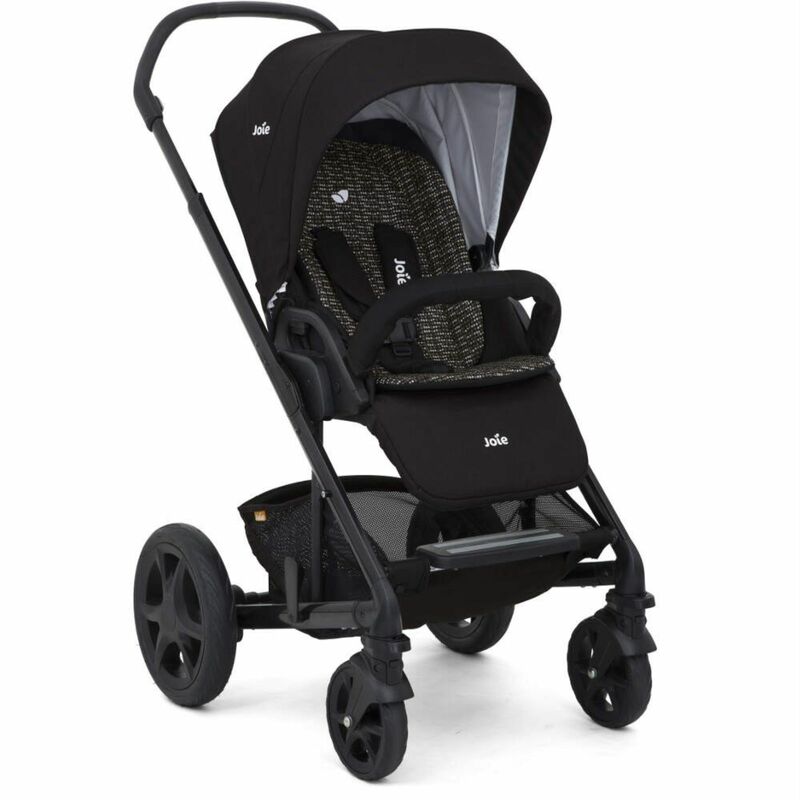 Other features on offer come in the form of a height adjustable handle bar, extendable hood, all-wheel suspension, quick-release wheels, removable bumper bar and ShoeSaver brakes. 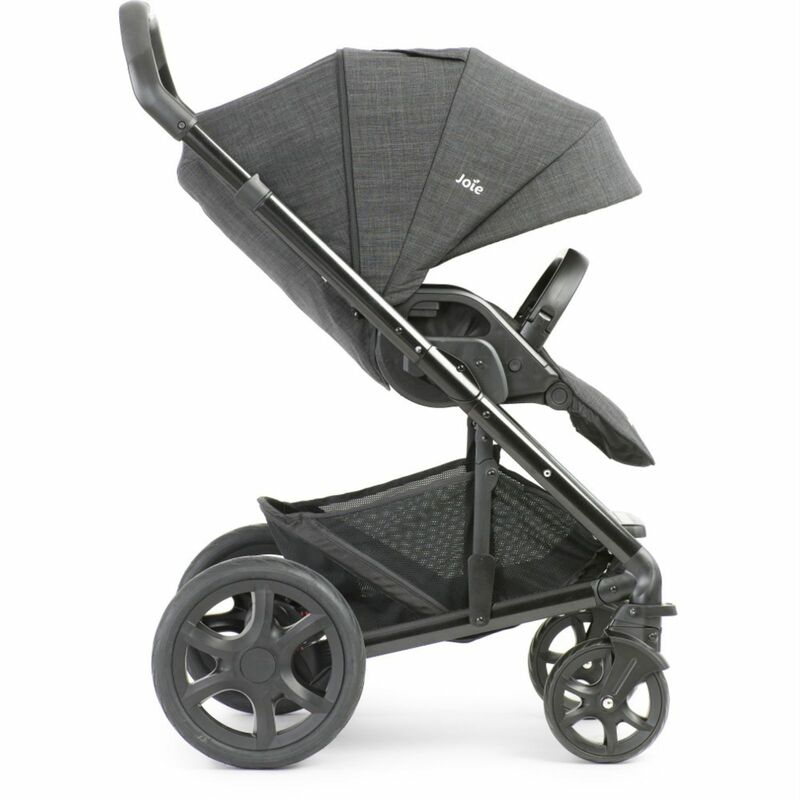 The pushchair is compatible with the i-Level, i-Gemm & Gemm car seats (all sold separately) but does come with a footmuff and raincover as standard. 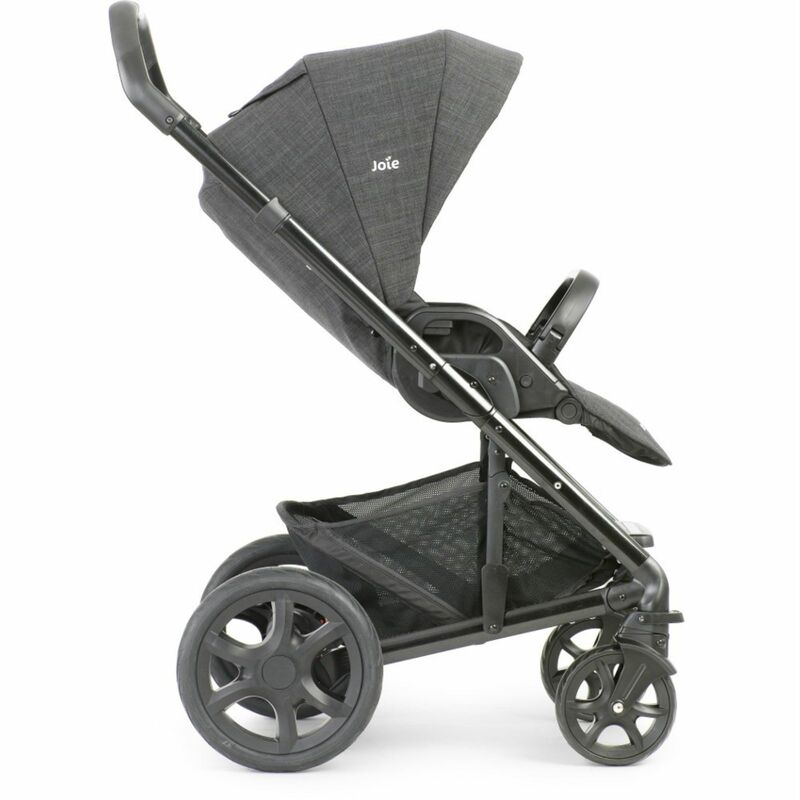 Also included comes the Joie Chrome Plus Carrycot, which is designed to combine perfectly with the Chrome DLX Pushchair without the need for adapters as it attaches quickly and easily to the chassis, creating a fantastic lie-flat pram which is suitable from birth. 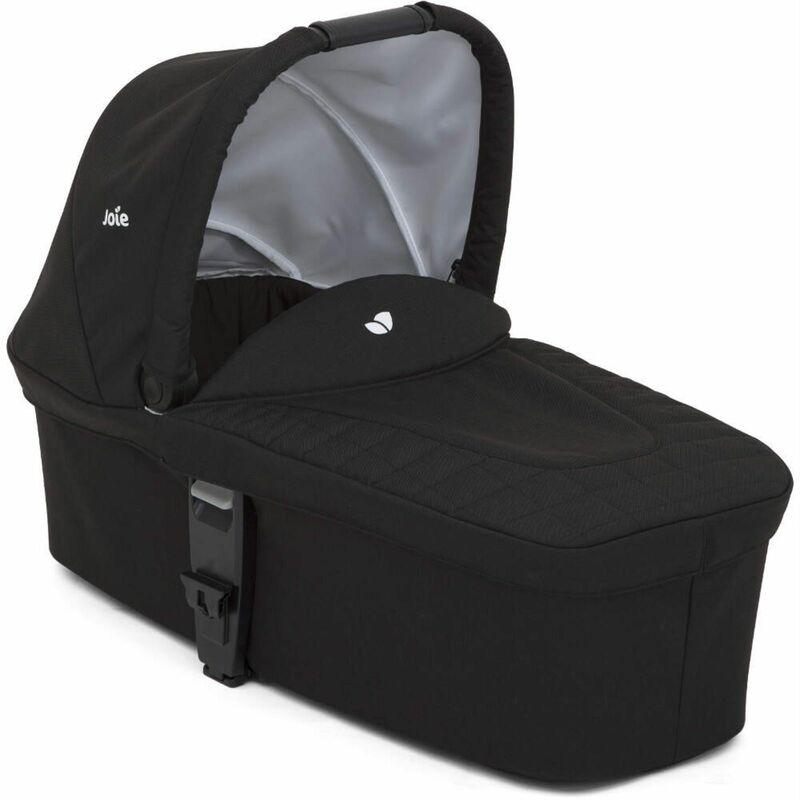 The carrycot comes complete with mattress, hood, apron creating a safe and cosy environment for your newborn. Whats more, it also comes with a raincover, ensuring complete protection when venturing out.